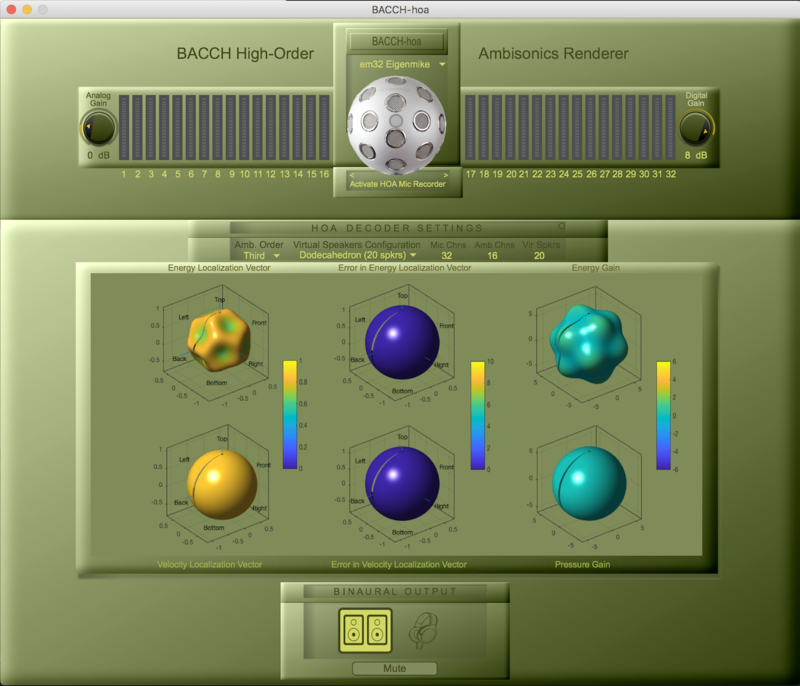 BACCH-dSP is a standalone 3D audio powerhouse application for mixing/production and rendering of 3D binaural audio through loudspeakers and headphones. 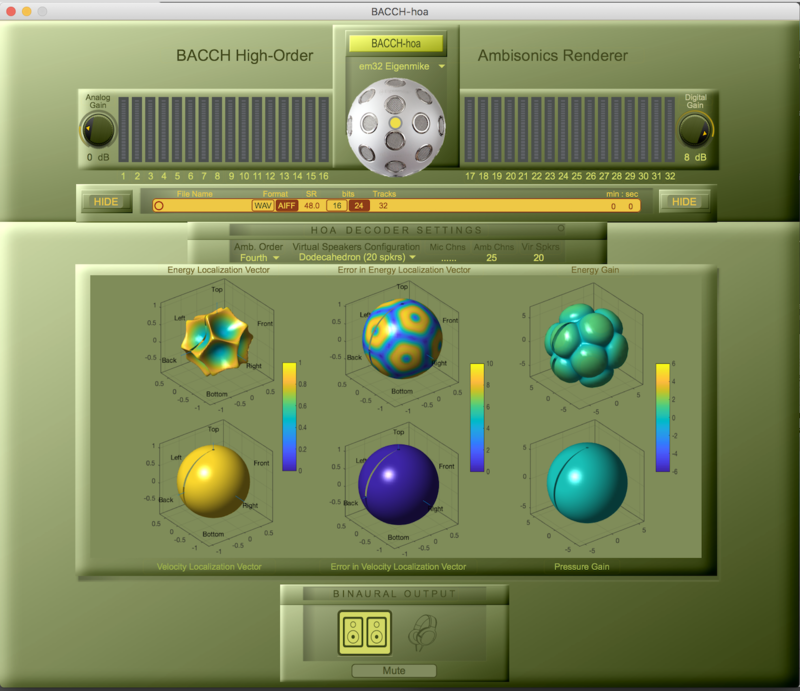 BACCH-dSP is the heart and brain of Theoretica's BACCH4Mac packages. 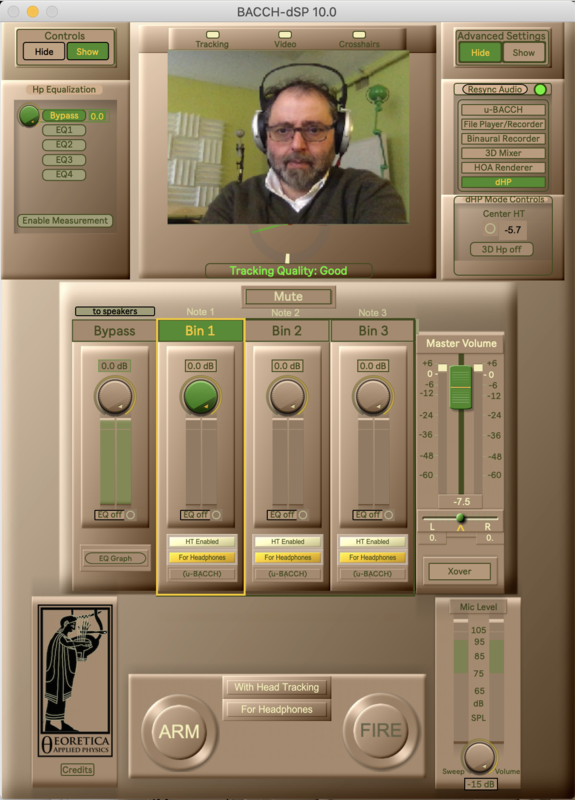 It is the most advanced binaural audio processing tool available today. 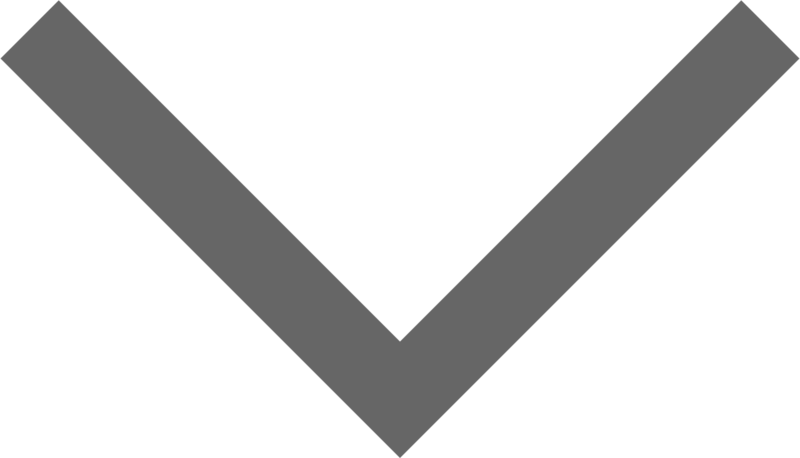 It incorporates many techniques, algorithms, and methods that have only recently evolved out of the research laboratory, and allows for the construction and rendering of stereo 3D audio images with breathtaking realism. It is the result of 4 years of continuous development by Professor Edgar Choueiri, President of Theoretica Applied Physics and Director of Princeton University’s 3D Audio and Applied Acoustics Laboratory. 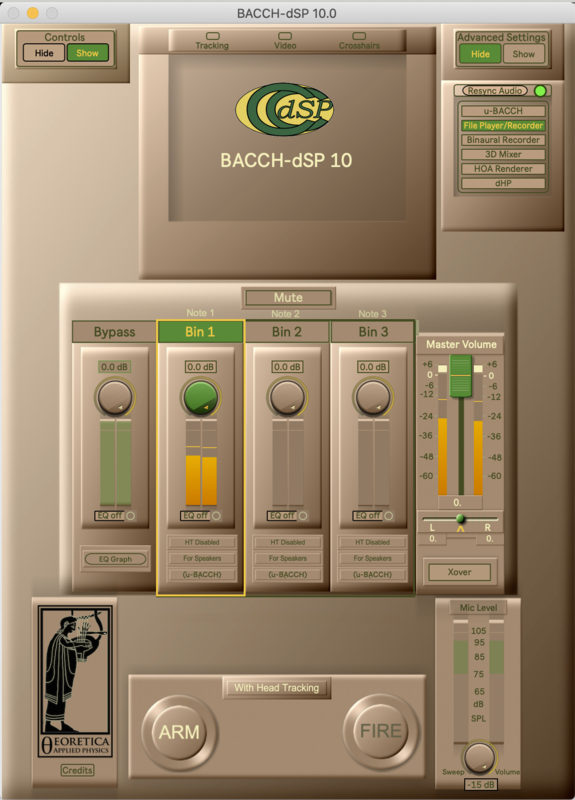 BACCH-dSP can be easily configured as a parallel processor for the leading DAW applications (e.g. ProTools, Logic Pro, Ableton Live, etc.) 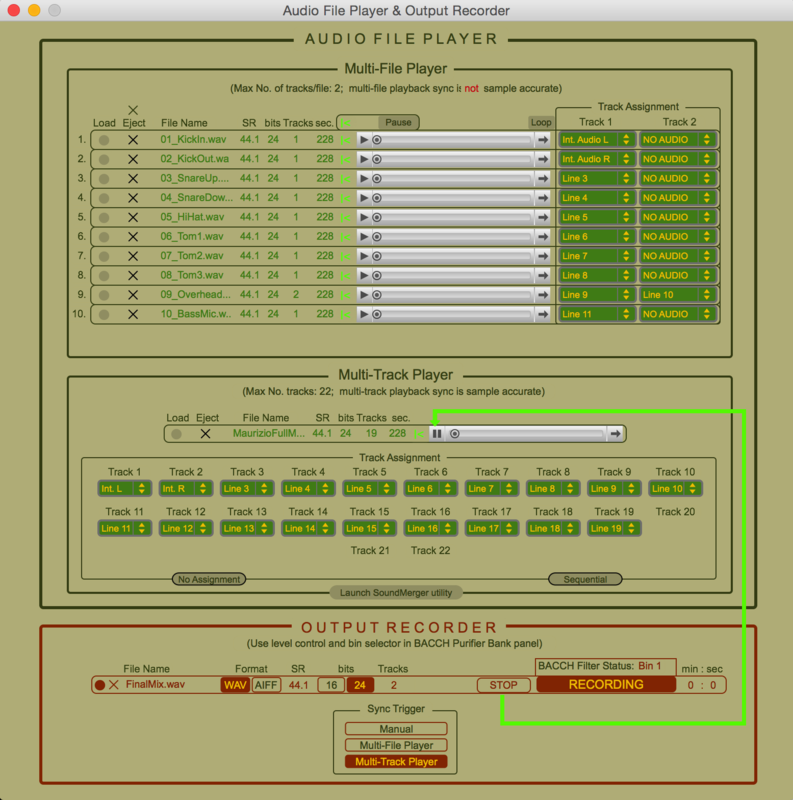 or as a standalone application for processing audio from audio files, and audio from audio file players (Roon, iTunes, JRiver, etc...) and streaming services (Tidal, Spotify, etc...). Quick and easy design of individualized BACCH® filters for rendering binaural audio (and regular stereo recordings) in full 3D over a pair of loudspeakers. Quick and easy design of individualized BACCH-HP filters for rendering highly externalized 3D audio from headphones. Advanced head-tracking for real-time dynamic sweet spot adjustment for seamless 3D audio over a wide range of listener locations. The powerful BACCH-3dm mixer for precise mixing of sources located anywhere in 3D space using an intuitive graphical interface, which also allows for six-degrees-of-freedom navigation of the 3D sound field using individualized HRTFs. Powerful Higher-Order-Ambisonics-to-binaural rendering and 3D sound-field navigation. 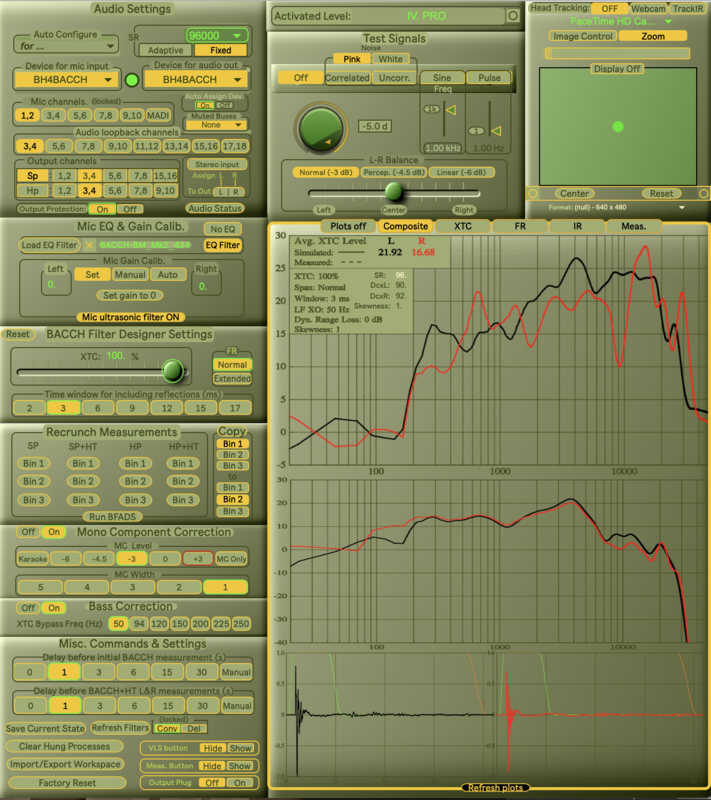 Advanced diagnostics and measurement tools for binaural audio. A main feature of BACCH-dSP is BACCH 3D Sound, which is an advanced patented crosstalk cancellation technology, developed at Princeton University, that yields vivid and accurate 3D imaging from binaural (and regular stereo) audio over loudspeakers. This is the same technology at the heart of Theoretica’s highly acclaimed high-end audio processor, the BACCH-SP. 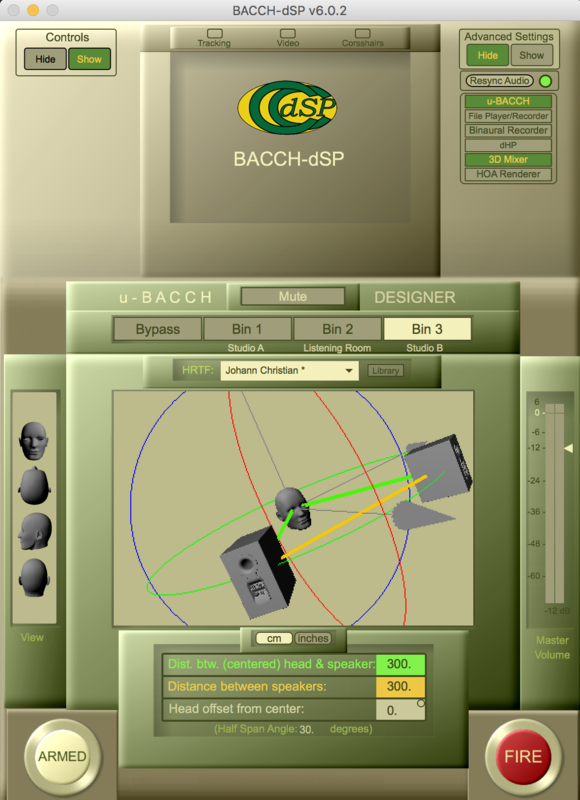 Unlike other crosstalk cancellation technologies, BACCH® 3D Sound produces no tonal distortion and can be individualized to the listener’s head and ear shape, the particular response of the loudspeakers and the loudspeakers/listening configuration through a quick and easy calibration using the in-ear BACCH-BM binaural microphone. 3D audio through loudspeakers is no longer confined to a tight listening sweet spot. BACCH-dSP’s state-of-the-art head-tracking technology assures real-time dynamic sweet spot adjustment for seamless 3D audio over a wide range of listener locations. To learn more about BACCH® 3D Sound see our FAQ page and the press reviews. The BACCH-dSP is the first product to use the newly developed BACCH-hp headphones technology, which resulted from a 4-year research project at Princeton University. 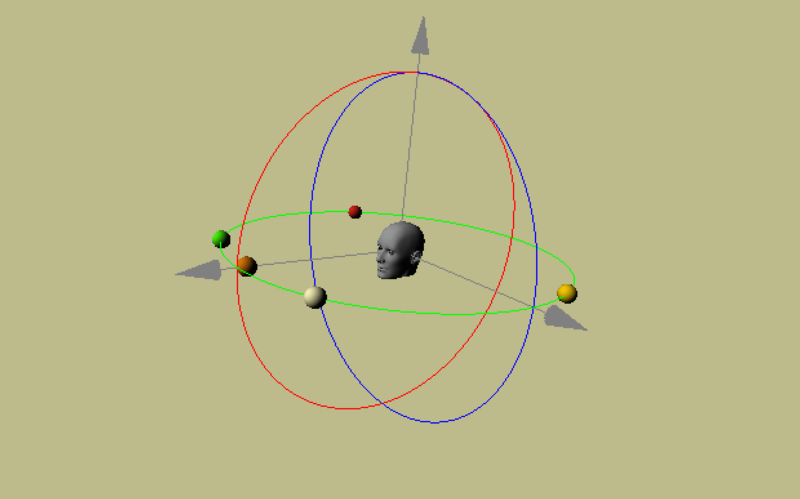 The 3D image is much more fully head-externalized than regular binaural audio. 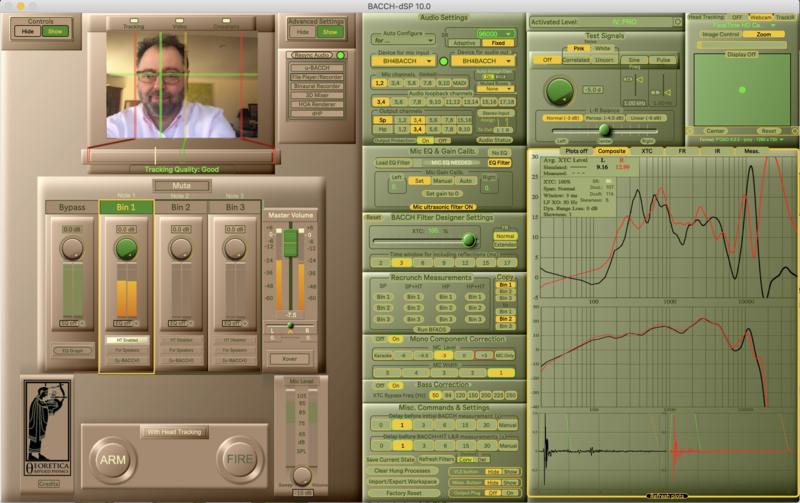 Unlike regular binaural audio, head-externalization with BACCH-hp works equally well for all listeners. 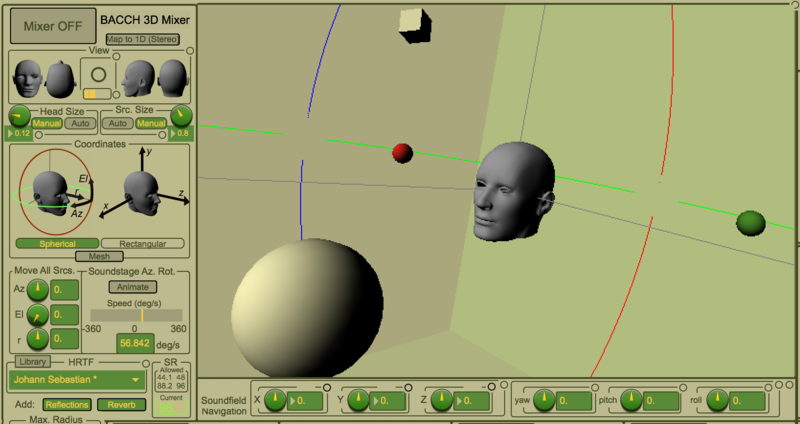 Rotational head tracking allows fixing the 3D image in space which is critical for enhancing the perception of a realistic audio image outside the head. Advanced equalization using the in-ear BACCH-BM binaural mic allows optimizing the sound of any headphones for BACCH-hp. 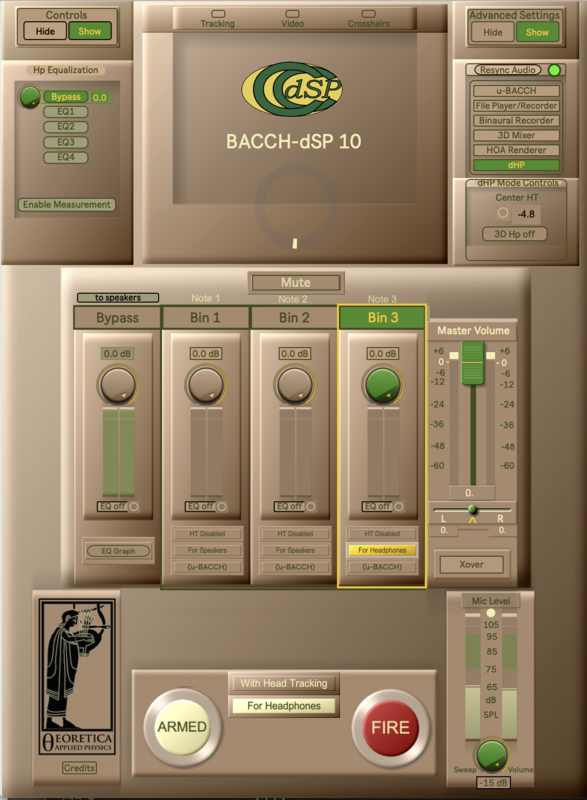 A central feature of BACCH-dSP is its powerful and intuitive 3D mixer: BACCH-3dm. 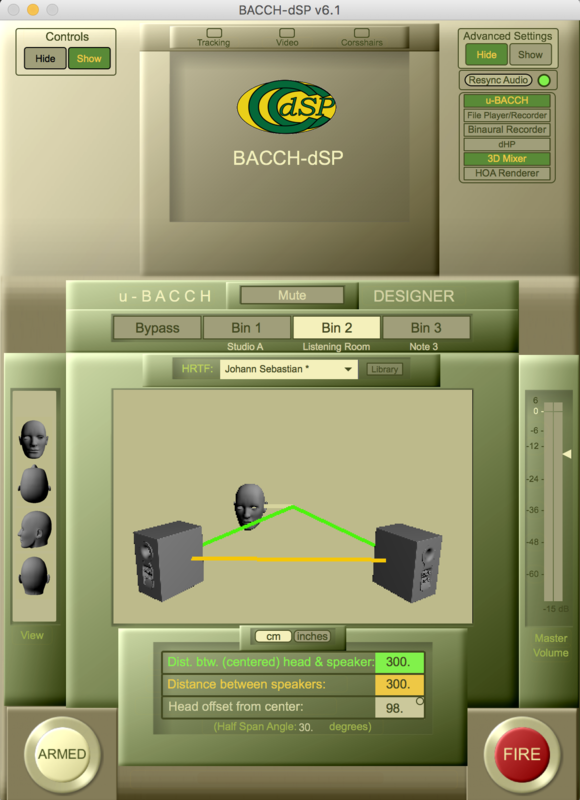 BACCH-3dm produces vivid and realistic binaural mixes (equivalent to binaural recordings produced through dummy heads or humans with in-ear microphones) from a collection of multiple audio sources such as the tracks of a multi-track recording. A large library of human and dummy head HRTFs. Ability to load indiviualized HRTFs with conversion from the regulrar SOFA format. Accurate real-time early reflections and reverb calculations based on user-controlled room geometry and a wide range of wall materials. 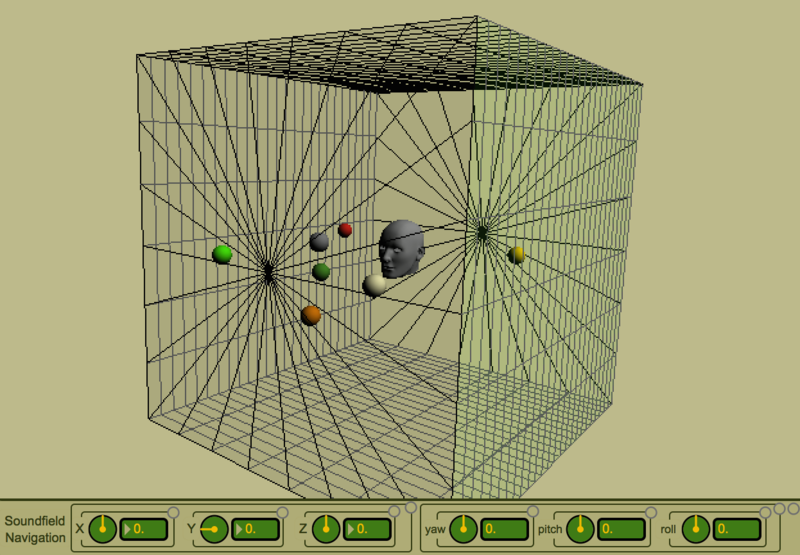 Real-time six-degrees-of-freedom (X, Y, Z, Pitch, Yaw and Roll) navigation of the 3D sound field using the keyboard or a Playstation controller. 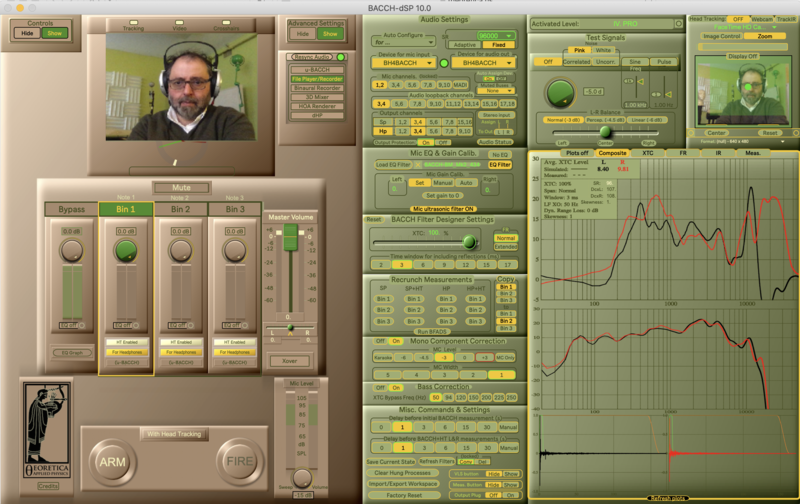 Synchronized output recording with multi-track file playback for producing final binaural mixes with or without BACCH and BACCH-HP filters. 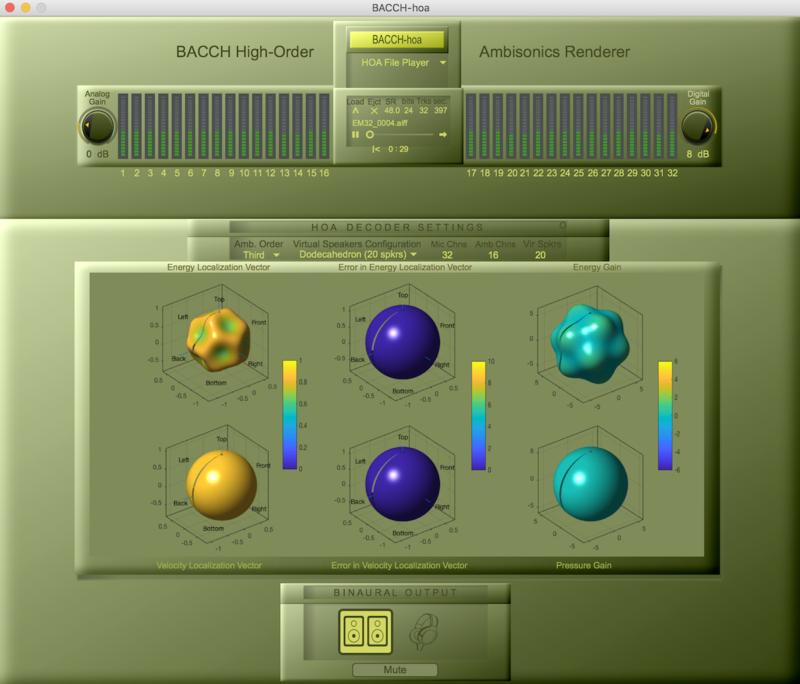 The powerful BACCH-hoa module allows for up-to-fourth-order High-Order-Ambisonics-to-binaural rendering and 3D sound-field navigation using up to 20-speaker full dodecahedron virtual speaker system (in BACCH-3dm) and individualized HRTFs. 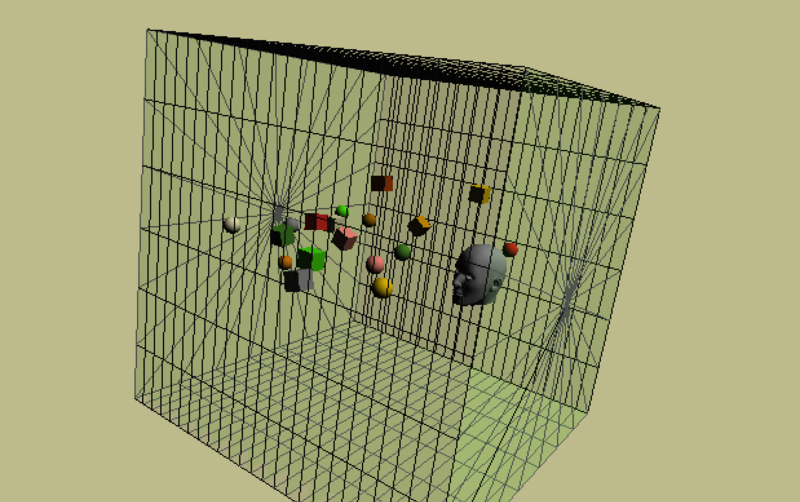 Binaural rendering with individualized HRTFs and 6-degree-of-freedom navigation of the rendered 3D sound field. 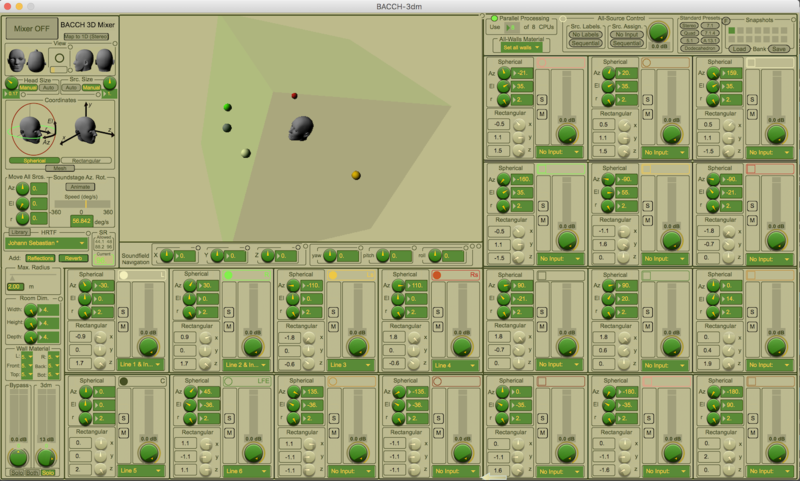 Starting with version 6.0, BACCH-dSP includes the new u-BACCH module (which is the sole module in the BACCH4Mac Intro Edition). 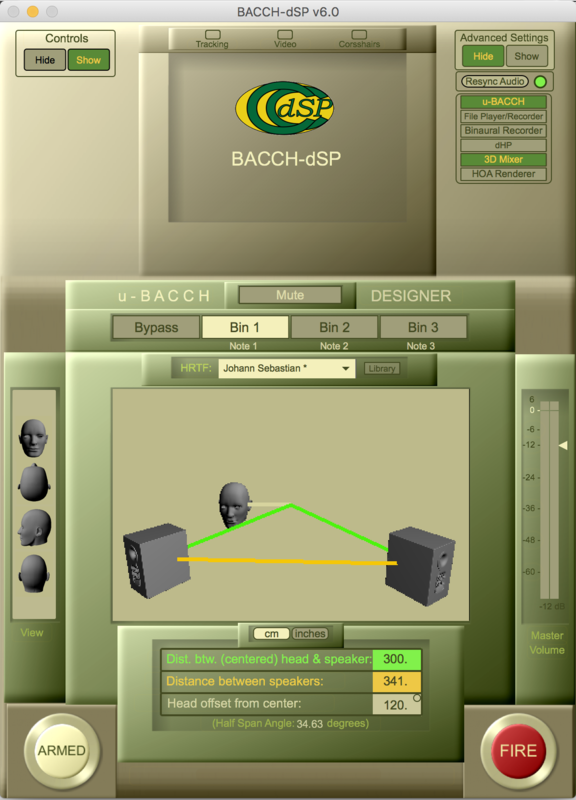 The u-BACCH module (where the “u” stands for universal) produces u-BACCH filters, which give 3D sound over loudpseakers (with no head tracking) based on the user's input of quick tape measuremets of the listening geometry. u-BACCH filters come close to the performance of regular BACCH filters (the latter rely on acoustic measuremts using the BACCH-BM in-ear mic) if the loudspeakers are well-matched in frequency and phase. Only requires the user to enter two measurements: the distance between the symmetrically placed speakers, and that between the speakers and the listener's head, in cm or inches, using a measuring tape. No need for acoustic measurements with a binaural mic. Uses the same HRTF-based filter design code as regular BACCH filters. Allows selecting the HRTF from a factory-installed library of 8 measured HRTFs, for a better match with the HRTF of the listener. 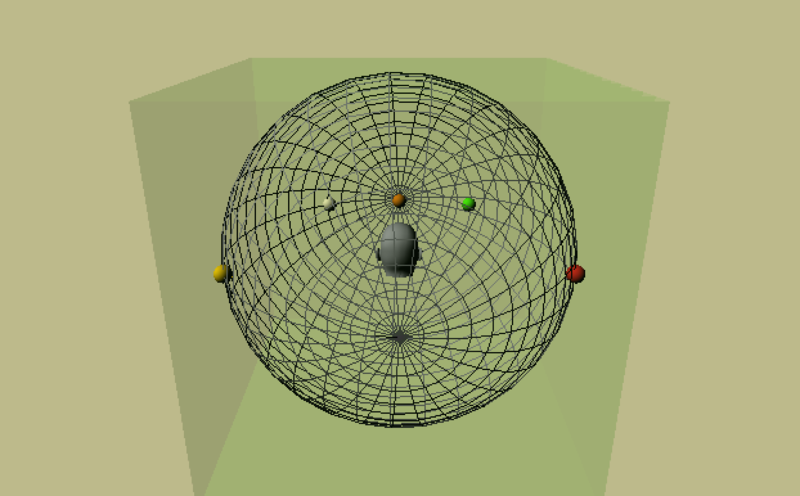 Allows adding the individual HRTF of the listener if the listener has his/her measured HRTF. Handles and applies u-BACCH filters the same way as regular BACCH filters. Provides an entry-level view into the world of BACCH.